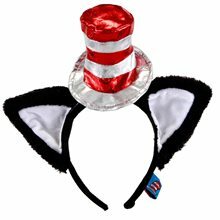 Seuss Cat In The Hat Adult Accessory Kit; When mom's away, this Cat in the Hat will play! 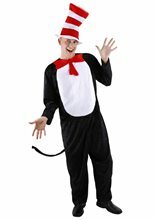 This Cat in the Hat essentials kit includes a hat, gloves and bow tie. 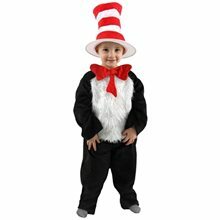 Seuss Cat In The Hat Child Hat; The lovable Cat in the Hat is back for fun and mischief. 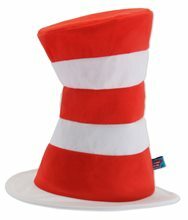 The signature striped hat has a tricot fabric completes this fun loving feline's signature look. 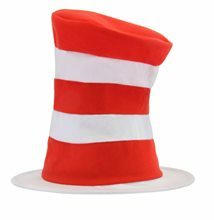 Seuss Cat In The Hat; The lovable Cat in the Hat is back for fun and mischief. The signature striped hat has a tricot fabric completes this fun loving feline's signature look. 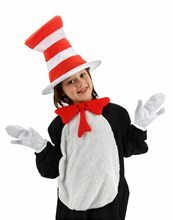 Cat In The Hat Child Costume includes a jumpsuit and a hat. Gloves are not included. 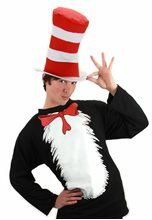 Dr. Seuss Thing 1 And 2 Costume - Child Costume includes a red jumpsuit, removable "Thing 1" and "Thing 2" labels and a fuzzy blue wig.